Jasmine Lucilla Elizabeth Jennifer van der Bogaerde (yes, her real name – she is pure blue blood) A.K.A. Birdy is just 19 years old but her music CV is very impressive. She is a Musician, (playing piano and guitar), Singer and Songwriter. A snippet of trivia – her great uncle is the actor Sir Dirk Bogarde ( who anglicised his name). She won the music competition “Open Mic UK” in 2008, aged 12. Her debut single, a stunning version of Bon Iver’s “Skinny Love” was her breakthrough, charting all across Europe and earning platinum status six times in Australia. The accompanying video went viral on Youtube and has today clocked up almost 54,000,000 views. She was just fifteen. Her self –titled debut album, made up of covers apart from one song was released in 2011 to similar success, peaking at number 1 in Australia, Belgium and the Netherlands. Her second studio album, Fire Inside of which she wrote or co-wrote all eleven songs was released in 2013 to critical acclaim. 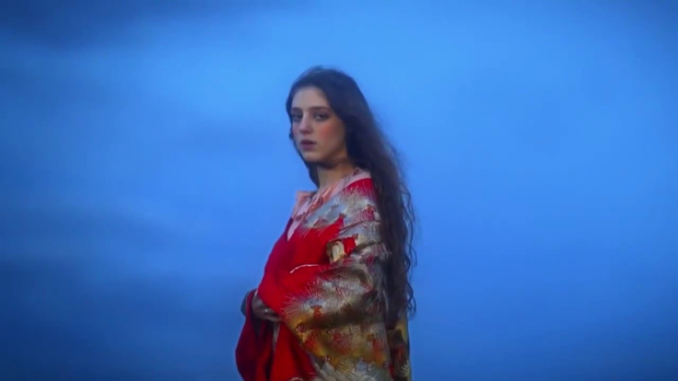 Birdy has also worked on an array of projects, including highly prestigious film scores. Most recently her song Let It All Go was released as a duet with Rhodes whilst her classic song Wings was covered by Nothing but Thieves. 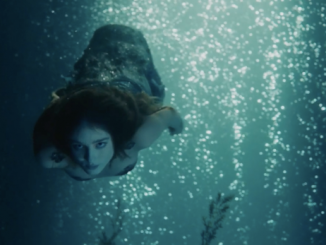 Birdy’s music was used in “The Hunger Games” and Pixar’s “Brave” whilst she was commissioned to write three songs for the film “The Fault In Our Stars”. Her third studio album, Beautiful Lies is released on Atlantic Records on March 25th 2016. On first listen, there is definitely a maturity to her sound. Opening song Growing Pains has a clanging gong to announce her arrival and the song has a delicious “Oriental” vibe with bongo drums. Here is a young woman who sounds self –assured and strong, especially in the bold chorus, when the drum hits a regular sassy beat. It’s an album highlight and a great introduction. 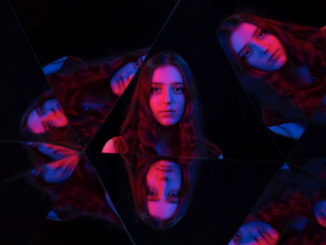 Shadow reveals Birdy’s incredible vocal range, filling the song with its own ebbs and flows, highs and lows which make it a breath-taking listen. Keeping Your Head Up offers something a bit different to the rest of the album – the intricate piano arpeggio repeats itself over and over until the chorus is reached and she cries: “Hold Tight, you’re slowly coming back to life/ I’ll be keeping your head up” which quickens the pace and moves the track along. It has a contemporary pop feel and is much more uptempo than the sombre ballads we are used to hearing from her but it’s a catchy, uplifting song. Another highlight is Save Yourself – her velvety vocal takes this ballad out of the ordinary. The song is under-pinned with a regular “breath” which gives the song a soothing quality and is accompanied by a chorus of angelic backing vocals that provide serenity to the track. Bookending the other ballads of the album is final track Beautiful Lies a spare but stunning song with melancholy vocals – her piano ever-present but with violins that swell behind her voice. “Tell me beautiful lies/Cover my eyes with your hands/Just pretend we’re better” – It’s a song sung with deep feeling. And indeed, a beautiful end to the album. Birdy is a special artist in the fact that we haven’t witnessed her growing up but we can hear it through her work so far. Her growth as an artist has been marked by a musical progression from performing covers, to co-writing songs and then to writing all her own material. Her emotive vocals, her melodies and the way she harmonises with any instrument (majority of the time her piano) is remarkable for one so young. Birdy is appearing at The Roundhouse, London on May 10th 2016.